Below I mentioned the preprint, Genomic analysis of dingoes identifies genomic regions under reversible selection during domestication and feralization. I do think that readers will be quite interested in reading it, and it’s not too technical. 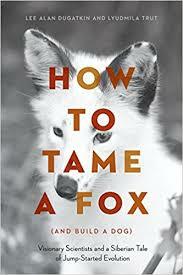 As the authors note, the dingo is interesting because of the longest lasting “feral” lineage that is known. Additionally, unlike other feral lineages hybridization with other populations has been pretty minimal until recently (though they detected some in two of their dingo samples). The phylogenetics isn’t that surprising. Dingos are closest to New Guinea Singing Dogs (NGSD). And this clade is most similar to Indonesian dogs. Basically, as you’d expect dingos are the product of a serial founder event from Southeast Asia into Australia. Their ancestral population is really, really, small. Selection analysis identified 99 positively selected genes enriched in starch and fat metabolism pathways, indicating a diet change during feralization of dingoes. Interestingly, we found that 14 genes have shifted allele frequencies compared to dogs but not compared to wolves. This suggests that the selection affecting these genes during domestication of the wolf was reversed in the feralization process. One of these genes, ARHGEF7, may promote the formation of neural spine and synapses in hippocampal neurons. Functional assays showed that an A to G mutation in ARHGEF7, located in a transcription factor-binding site, decreases the endogenous expression. This suggests that ARHGEF7 may have been under selection for behavioral adaptations related to the transitions in environment both from wild to domestic and from domestic back to wild. Our results indicate that adaptation to domestication and feralization primarily affected different genomic regions, but that some genes, related to neurodevelopment, metabolism and reproduction, may have been reversibly affected in the two processes. 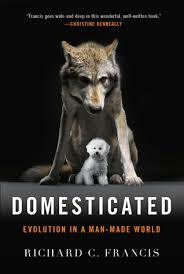 There are lots of arguments about how the dog got domesticated. One thing to remember is there is a distinction between population divergence of the ancestors of dogs from the ancestors of Eurasian wolves and the domestication of the dog in various steps and stages. One can imagine, for example, a close association between some groups of wolves and humans, with the former existing in a symbiotic relationship with nomadic bands. This state could persist for thousands of years (in fact, I have heard that this may resemble the relationship of the dingo to Aboriginal people, whose landscaping through fires may have been helpful to dingo predation). Eventually, though humans settled down into sedentary villages. It is hard not to imagine that the village garbage pile dogs didn’t evolve to be even more human accommodating at this stage, with some of them being helpmates to human populations as work dogs (watch-dogs, hunting-dogs, and even war-dogs). The dingo may illustrate a shift back toward more detachment from humans. The Aboriginal people never lived in large agricultural villages, so the opportunities for extremely close coexistence did not present themselves. But it is interesting that the dingo did not revert to becoming an Australian wolf, but remained distinctively dog-like. This may be a function of loss of genetic diversity through the bottleneck, a different ecological niche than the wolves of Eurasia, or, irreversible evolutionary genetic changes in the morphology and physiology of the canid lineage. * Australians on the north coast have a legend of a dog arriving in a boat. Most likely they arrived from Sulawesi in Indonesia.